No doubt the greatest influence in shaping my adamant secular humanism and active disdain for all kinds of religious marketers, profiteers, crackpots and panhandlers was my own childhood force-feeding of the hellfire and damnation variety of holy-roller Pentecostal revivalism from age 10 to 13. I can still see Brother Jack frothing at the mouth as he spoke in tongues and hear the crash of pews as Sister Black is felled by the Power that leaves her quivering on the floor totally blanked out in a psychosexual seizure. So it was with a gouge of recognition that I watched Sister Palin the other day offer her acceptance speech. She even has the big-bun-it's-sin-to-cut-your-hair-hairdo to go along with her Pentecostal bring-on-the-end times-commitment that will fit well with her total lack of foreign policy knowledge. And she is all for creationism in the public schools, except for the fact that there won't be any public schools for long if she and Gramps are elected. Palin has been religious all her life. When she was a teenager she and her family were all active in the local church,the Wasilla Assembly of God Church. She was baptized here during those years as well. In defiance of common sense, scientific credibility, and ethical standards, Gradgrind and McChokumchild have decided to extend the testing hysteria to the tiniest of the poor. Sirs, have you no sense of decency? Is there no stopping the insanity? The Bloomberg administration, which has made accountability the watchword of its overhaul of public education, is asking elementary school principals across the city to give standardized tests in English and math to children as young as kindergartners. In an e-mail message sent on Monday evening, the Education Department’s chief accountability officer, James S. Liebman, urged principals to join a yearlong pilot program with five testing options for kindergarten through second grade, including timed paper-and-pencil assessments in which students record answers in booklets for up to 90 minutes, as well as ones in which teachers record observations of individual students on Palm Pilots. The pilot program, which will cost $400,000 and was not publicly announced, is already inciting outrage among some educators and advocates who worry that Mayor Michael R. Bloomberg’s efforts to overhaul the school system have been overly focused on standardized testing. While the federal No Child Left Behind law has required schools nationwide to administer tests starting in the third grade since 2002, Mr. Bloomberg has gone further, using test scores to determine school grades as well as bonuses for teachers and principals. The administration has also expressed interest in using test scores to determine teacher tenure, an idea that is being blocked by legislators in Albany. Throughout the city and across the nation, teachers and parents have protested the increasing time spent on testing — and test preparation — particularly in elementary grades, where critics say that development of children’s creativity has suffered. Some experts question the effectiveness of such assessments for very young children, where lessons about sharing and socialization are sometimes considered as important as facts and figures. “It sounds like a downward extension of whatever’s good, but also what’s bad about standardized testing in the higher grades, with more risk because we know that standardized testing isn’t appropriate at those ages,” said Lorrie Shepard, dean of the School of Education at the University of Colorado at Boulder. “Now they’re venturing into territory where many more people say that the negative will far outweigh any positive.” . . .
-- Fewer than 2 of 10 Americans believe No Child Left Behind (NCLB) should continue without significant change. Only 1 in 4 think the legislation is helping their local schools. -- Americans fear U.S. schools are not keeping up in today's global economy. About half gave schools in Europe and Asia grades of As and Bs, compared with the more than 60 percent who assigned U.S. schools grades of Cs or below. -- The vast majority of the American public--77 percent--feels the new president should rely on educators for advice about how to turn around our flailing education system. The Association for Supervision and Curriculum Development (ASCD) represents a wide spectrum of educators--classroom teachers, principals, district administrators, curriculum developers, college professors, and others--who know what's best for our children. Our members' on-the-ground understanding of how to improve student achievement is the basis of ASCD's policy recommendations for improving NCLB. A cornerstone of NCLB is the assessment of students and schools. But the law's current assessment and accountability system relies heavily on standardized tests that provide just a snapshot of student knowledge and ability at a single moment in time. When the PDK/Gallup Poll asked Americans to choose the assessment method they believe provides the most accurate picture of student achievement, more chose examples of student work and teacher observations than test scores. And 80 percent of Americans think school performance should be measured by student academic progress instead of the percentage of students who pass a state test. ASCD educators stand ready to help the new administration improve U.S. education policies. Will the next president work to recast the definition of a successful learner from one whose achievement is measured solely by academic tests to one who is knowledgeable, emotionally and physically healthy, civically inspired, engaged in the arts, prepared for work and economic self-sufficiency, and ready for the world beyond formal schooling? If not, he will jeopardize both our kids' future success in the workplace and our country's future success in the global marketplace. For complete results from the PDK/Gallup Poll, visit http://www.pdkpoll.org. To access ASCD's 2008 Legislative Agenda, visit http://www.ascd.org/legislativeagenda. Founded in 1943, ASCD, a nonprofit association, is one of the largest professional development organizations for educator leaders. It provides education information services; offers cutting-edge professional development for effective learning, teaching, and leadership; and supports activities to provide educational equity for all students. ASCD's membership of more than 175,000 includes principals, teachers, superintendents, professors of education, and other educators from 119 countries. The Association also has nearly 60 affiliates throughout the world. Offered up to $1,000 for scoring well on Advanced Placement exams, students at 31 New York City high schools took 345 more of the tests this year than last. But the number who passed declined slightly, raising questions about the effectiveness of increasingly popular pay-for-performance programs in schools here and across the country. Students involved in the program, financed with $2 million in private donations and aimed at closing a racial gap in Advanced Placement results, posted more 5’s, the highest possible score. That rise, however, was overshadowed by a decline in the number of 4’s and 3’s. Three is the minimum passing score. The effort to reward city students for passing Advanced Placement tests is part of a growing trend nationally and internationally, and one of several new programs in New York, to experiment with using financial incentives to lift attendance and achievement. The results, scheduled to be formally announced on Wednesday, are likely to be closely examined by both enthusiasts who herald such programs as groundbreaking innovation and detractors who deride them as short-sighted bribes that threaten broader educational progress. . . . The Associated Press ran a story on August 12, 2008, citing a report from the Government Accountability Office that revealed that two-thirds of U.S. corporations paid no federal income taxes between 1998 and 2005. About 25 percent of the U.S. corporations not paying corporate taxes were considered large corporations, meaning they had at least $250 million in assets or $50 million in receipts. And, according to the report, about 68 percent of foreign companies doing business in the U.S. avoided corporate taxes altogether over the same period. How ironic in the age of No Child Left Behind that the GAO - the Government Accountability Office - would be the one that would point out corporate America's lack of accountability when it came time to paying the bills in this country. It's clear to me that we have a Corporate Achievement Gap here. What is the Corporate Achievement Gap? The Corporate Achievement Gap is the difference between what taxpayers paid into the general coffers -- for roads and bridges, for schools and fire trucks -- and what 25 percent of U.S. corporations did not put in. This gap is an achievement gap because it underscores the potential for achievement if only these corporations would help fill this gap. But they are simply not doing their part, not shouldering their load, not paying their dues. Right now, the US federal government pays for between 7 and 10 percent of the total budget for public preK-12 education. The other 90 to 93 percent is paid for by state and local taxpayers. Imagine, if you would, what kind of impact there would be if the US federal government doubled its current investment in public education from about 10 percent to 20 percent. Imagine the difference this could make. All told, adding the price of health, early childhood, after-school, and summer programs, (the) down payment on closing the achievement gap would probably increase the annual cost of education, for children who attend schools where at least 40% of the enrolled children have low incomes, by about $12,500 per pupil, over and above the $8,000 already being spent. In total, this means about a $156 billion added annual national cost to provide these programs to low-income children. These are 2003 - 2004 data, and they're probably not completely accurate. But these numbers at least give you an idea of what it might take to actually close the educational achievement gap. They give you the sense that closing the educational achievement gap might actually be something that could be done. But before we can close the educational achievement gap, we must first close the Corporate Achievement Gap. Teachers and schools are being held accountable. It's time to start holding corporations accountable, too. We must demand that they contribute to the health and well-being of the country by paying their fair share. Thirty miles from civilization, the braintrust running the schools in Harrold, Texas voted to allow teachers to carry heaters in order to protect children from the bands of "armed maniacs" imagined to be traveling the nearby highway. Now who's the armed maniacs? There's one item Houston-area school officials say teachers can leave at home when classes resume later this month: Their handguns. Houston school districts said there's no way they'll follow the lead of a tiny North Texas school system that may be the first in the nation to let employees pack heat at their lone 110-student K-12 campus. Harrold Superintendent David Thweatt said his school board unanimously passed the policy last October to protect employees and students in the case of an armed intruder or hostage situation. He wouldn't say how many teachers went through the authorization process, which includes receiving a Texas concealed handgun license and undergoing crisis management training. Thweatt said that despite the outrage from his public school peers, Harrold stands by its decision. The first few months of the new policy have gone smoothly, he said. "We think we have acted cautiously and wisely," said Thweatt. "Others should be free to govern their school districts as they see fit." Thweatt said the small community is a 30-minute drive from the sheriff's office, leaving students and teachers without protection. He said the district's lone campus is situated just 500 feet from heavily trafficked U.S. 287, which could make it a target. Texas' penal code prohibits firearms at schools "unless pursuant to the written regulations or written authorization of the institution." Alief school board member Sarah Winkler, vice president for the Texas Association of School Boards, said she didn't even realize that school trustees could vote to override the law. Individual school boards shouldn't have that type of power, she said. "This is just appalling," Winkler said. "One accident, and I don't know how the school board would live with themselves." She wasn't the only Houston educator stunned by the policy. "It's a disaster waiting to happen," said Gayle Fallon, president of the Houston Federation of Teachers. "It's right up there with worst ideas in the history of modern education." . . . . The flood of federal, state, and local education dollars into the coffers of corporations like Kaplan, Newton Learning, and Princeton Review remains unchecked, even though there is no evidence, scientifically based or otherwise, that these corporate interventions are doing any good for anything other than corporate bottom lines. In fact, there is growing evidence from insider accounts like this one in the September Harper's that the the spread of Kaplan's influence into scripted curriculum writing is further undercutting efforts to bring real teaching and learning to urban students who are being left further behind as corporate bosses get richer on money intended for education--not exploitation.
. . . .In New York City, Kaplan provides NCLB- mandated tutoring for the high school Regents exams and the subject exams administered to students in the third through eighth grades.) Many educators argue that the gains from prep courses are negligible and the programs themselves ultimately harmful, since they drain precious funds and class time. 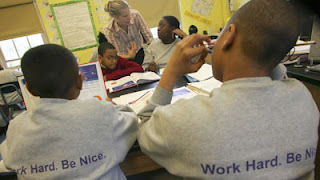 A recent Chicago Public Schools study examining student performance on the Iowa Test of Basic Skills found “little difference between tutored students and those who were eligible but did not receive tutoring.” The price tag for supplemental tutoring in Chicago, which 60,000 students received in the 2004–2005 school year: $50 million. Teachers also are aware that Kaplan’s presence will continue to be felt long after its coaches have moved on: completion of the thirty-six-lesson SAT Advantage program, which includes three abbreviated tests and one full-length practice exam, requires a full forty hours of instruction time. Although hailed by its advocates as a step toward institutional accountability and full student proficiency, No Child Left Behind is, at its core, a highly punitive act. Ratified in 2002, the legislation mandates that states create a system of tests and other academic indicators that measure whether students meet “the minimum level of proficiency.” Schools that repeatedly fail to meet these benchmarks can be closed, taken over by private corporations, or restructured. Schools with high-poverty populations that receive federal aid (known as Title I funds) and fail for three straight years to demonstrate “progress” toward full proficiency are required to spend up to 20 percent of this federal money on tutoring or transportation costs for students who choose to transfer out of their current school. In New York City, the transfer option is derided by critics as a hollow provision, since other city schools generally are no better and successful ones are already oversubscribed. Not wanting to be limited in its offerings to schools, Kaplan recently entered the business of selling content-based lesson plans. Although the shift from testing strategies to classroom content is a departure for Kaplan, the company sees little difference between the two. Earlier this spring, I designed a genetics class for Kaplan’s “Lesson Bank,” an online repository of short lessons that, for a fee, teachers can download in PDF form. As writers of the curriculum, we were repeatedly told that the materials had to provide hassle-free prep for teachers. When I submitted a first draft of a high school lesson on Mendelian genetics, the Kaplan staffer overseeing production, Tyler DeWitt, told me it was too complex. “We’re really trying to almost script lessons,” DeWitt wrote via email, “so that teachers who may be new or not the greatest (or smartest) teachers in the world can follow the ‘script’ and still give a great lesson.” For $35 an hour, I obliged and watered down the material, removing all “advanced” content points, such as co-dominance and pleiotropy (though these were subjects that I covered in the basic biology classes I taught a couple of years earlier). Kaplan’s increased workload has produced some remarkable results, though not necessarily in the classroom. The company’s revenues have jumped from $354 million in 2000 to more than $2 billion today, and it is now the most profitable subsidiary of its parent, The Washington Post Company, accounting for almost half of the conglomerate’s income. More telling are the margins: in 2003, Kaplan posted a loss of $11.7 million; in 2007, the company reported a $149 million profit. . . . In fact, business generally avoids performance pay, schools are the safest places children frequent, private school enrollment is declining, business recommends against numerical goals, and public schools generally perform better than charter schools. . . . In December 2006 I posted a piece on the inspirational role by Martin Seligman in the ongoing psychological sterilization of the KIPP Schools. In the KIPP schools, children are routinely broken down into a state of learned helplessness through inescapable surveillance (by school and parents), academic drudgery, repeated testing, and isolation and labeling as "miscreants" for any infringement of rules. From this broken, passive, and depressed state of affairs, the followers of Seligman at KIPP then apply his learned optimism techniques that aim to replace the previously-held pessimism of broken-down students with a grandiose optimism toward achievement that, simultaneously, turns blame inward at any hint of failure, thus redoubling the doubter's efforts to maintain the programmed regime of learned optimism. Brilliant and diabolical. Students are converted from bad actors to good audiences, from resistant recalcitrants to hard workers, from victimhood to a kind of glassy-eyed self-delusion masking as empowerment. And if things don't work out, well, there is the default position of learned helplessness that assures continued compliance, which is viewed by the victim as simply earned through personal shortcomings. No excuses. No shortcuts. Work hard, be nice. And what happens to children who might have grown up with an attitude of challenging an unfair and unequal system that has oppressed them for almost 400 years? In the world of positive psychology, such sociopathologies are simply counterproductive to the effective use of human capital. Work hard, be nice. The Seligman theory on which the CIA reportedly relied for its interrogation techniques is “learned helplessness.” In the 1960s, Seligman did a series of experiments with dogs in which he shocked them repeatedly — and for no apparent reason related to their behavior, but at random. After a period of time experiencing this terror, dogs that once would have tried to escape their cages no longer did so, Seligman found. This “learned helplessness” has been the basis for extensive research on why people in certain situations don’t appear to fight back against those terrorizing them. According to The Dark Side, key officials view this theory as “the paradigm” on which to build interrogation techniques. In May 2007, the Defense Department declassified the Office of Inspector General report, documenting the role of SERE psychologists in training military and CIA personnel in techniques of abuse that "violated the Geneva Conventions." The APA responded with silence. When we inquired about the APA’s reaction, we were told that the organization needed time to "carefully study" the report. It has been 14 months, and to date no APA leader has commented upon the Report. The APA leadership has failed psychologists and failed the profession of psychology. It has also failed the country. When ethical guidance was required, the APA put its ethical authority in the hands of those involved in the questionable practices that needed investigation. When the evidence became overwhelming that psychologists helped design, implement, and standardize a U.S. torture regime, the APA remained silent. When it was reported that the use of psychological paradigms such as ‘learned helplessness’ have guided psychologists’ manipulation of detainee conditions, the APA continues to ignore or discount these reports. They instead assert that psychologists presence’ at CIA black sites and detention camps “assures safety.” When it became clear that the APA should offer a strong voice and a clear policy prohibiting psychologists’ participation in operations that systematically violate the Geneva conventions and international law, the APA leadership raised concern that a “restraint of trade” lawsuit might be brought against them. These arguments, of course, do not pass the red face test in any discerning forum of world opinion. Makes me want to snuggle up tonite with my old copy of 1984. Goodnite, Winston. Congress has several concerns as it moves toward reauthorizing the No Child Left Behind Act of 2002. Whatever else they do, lawmakers need to strengthen the requirement that states document student performance in yearly tests in exchange for federal aid. The states have made a mockery of that provision, using weak tests, setting passing scores low or rewriting tests from year to year, making it impossible to compare progress — or its absence — over time. The country will have difficulty moving ahead educationally until that changes. Most states that report strong performances on their own tests do poorly on the more rigorous and respected National Assessment of Educational Progress, which is often referred to as NAEP and is also known as the nation’s report card. That test is periodically given to a sample of students in designated grades in both public and private schools. States are resisting the idea of replacing their own tests with the NAEP, arguing that the national test is not aligned to state standards. But the problem is that state standards are generally weak, especially in math and science. . . . Entirely sidestepped here is the problem of NCLB's impossible 100% proficiency target, which is the real motivation behind the states' testing adjustments toward continued survival. With one of the best public education systems in the country, Minnesota, for all its supposed finnagling, now has almost half of its schools on the federal failure list. And, of course, Brent and the Boys at the Times do not mention Susan Neuman's admitted privatization rationale for NCLB, which was the ideology driving the impossible NCLB targets from the beginning. So instead of the liberal NY Times being morally outraged at the millions of teachers and students who have been ground up in this ideological crucible over the past 6 years, they, instead, spend good ink on calling for a counterproductive and pedagogically-bankrupt plan for national testing based on NAEP. . . . . Adopting NAEP achievement levels would be a multifaceted, unmitigated disaster, but to demonstrate this we need to back up and take a look at how the NAEP achievement levels of basic, proficient and advanced came into existence. Until 1988, NAEP was purely descriptive. Starting in 1963, NAEP’s conceptual father, Francis Keppel, and technical father, Ralph Tyler, wanted to create something different from a norm-referenced test on which about 50 percent of students answer most items correctly. On purpose, NAEP created items that the test designers figured few students would answer correctly along with items the creators thought most would answer correctly, as well as the usual items that about half the people would get right. In the same way a medical survey might analyze the incidence of tuberculosis nationwide, NAEP would survey the incidence of knowledge in the country. In 1988, though, Congress created the National Assessment Governing Board and charged it with establishing standards. NAEP now became prescriptive, reporting not only what people did know but also laying claim to what they should know. The attempt to establish achievement levels in terms of the proportion of students at the basic, proficient and advanced levels failed. NAGB, led by Chester E. Finn Jr., summarily fired the team, or at least tried to. Because the researchers already had delivered the final report, the contract required payment. The inappropriate use of these levels continues today. The achievement levels have been rejected by the Government Accountability Office, the National Academy of Sciences, the National Academy of Education, the Center for Research in Evaluation, Student Standards and Testing and the Brookings Institution, as well as by individual psychometricians. I have repeatedly observed that the NAEP results do not mesh with those from international comparisons. In the 1995 Trends in International Mathematics and Science Study, or TIMSS, assessment, American 4th graders finished third among 26 participating nations in science, but the NAEP science results from the same year stated that only 31 percent of them were proficient or better. Here we are almost a decade into a new century and the old standards remain, causing a great deal of mischief every time a new NAEP assessment is released to the news media. No one is working to create new standards. Why? The use of the NAEP standards fits into the current zeitgeist of school reform as all stick and no carrot. At the press conference announcing the report, an incensed John Podesta, president and CEO of the Center for American Progress, declared: “It is unconscionable to me that there is not a single state in the country where a majority of 4th and 8th graders are proficient in math and reading.” He based his claim on the 2005 NAEP assessments. Because we have scores for American students on NAEP and TIMSS and scores for students in other countries on TIMSS, it is possible to estimate the performance of other nations if their students took NAEP assessments. How many of the 45 countries in TIMSS have a majority of their students proficient in reading? Zero, said Phillips. Sweden, the highest scoring nation, would show about one-third of its students proficient while the United States had 31 percent. In science, only two nations would have a majority of their students labeled proficient or better while six countries would cross that threshold in mathematics. NAEP reports issued prior to the current Bush administration noted that the commissioner of education statistics had declared the NAEP achievement levels usable only in a “developmental” way. That is, only until someone developed something better. But no one was or is working to develop anything better. 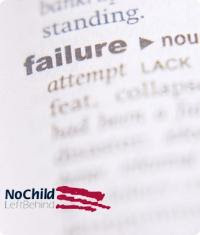 When I wrote an op-ed piece for The Washington Post (“A Test Everyone Will Fail,” May 20, 2007), an indictment of the achievement levels, I got feedback that officials at the National Assessment Governing Board were quite satisfied with the levels as they are. That can only mean NAGB approves of the achievement levels used as sledgehammers to bludgeon public schools. They serve no other function. Since his election in 2001, Mayor Michael Bloomberg has made narrowing the white-minority achievement gap in New York City his signature issue. After two major overhauls of the system and countless changes big and small, Bloomberg and his appointed Chancellor Joel Klein are declaring victory , victory, victory! And they are taking their education reform show on the road. Bloomberg is foraying into the national policy scene as a self-styled education czar, wielding his stewardship of the nation's largest school system as the ultimate credibility in knowing what to do with troubled schools. However, as we learned the hard way from George W. Bush, time in office does not necessarily equal ability to develop and enact real solutions. Last month Bloomberg testified to Congress that "In some cases, we've reduced it [the achievement gap] by half." Amazing--although specious. Joel Klein and Al Sharpton have teamed up to lead the Education Equality Project, a non-partisan advocacy group aiming to tweak the federal No Child Left Behind legislation to the style of the Bloomberg-Klein New York revolution. 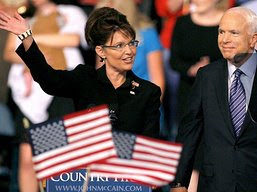 A love-in with John McCain ensued. . . . .
As a statement of goals, the senator is exactly right. He recognizes that our children will have to compete in a global marketplace, against the best and brightest from around the world, if they are to continue to enjoy the quality of life that America has provided their parents. Unfortunately, his primary prescription for attaining that goal — taxpayer-funded vouchers to finance private-school education — is founded more on ideology than on common sense or experience. That is of course demonstrably false. If that kind of success can be achieved only by the marketplace, how can we account for the educational achievements of Austria and South Korea, the very nations Johnson chose as standards? Schools in those nations are controlled at the federal level far more rigidly than American schools. There and elsewhere, nations have somehow accomplished what Johnson claims cannot be done here in America. Johnson’s proposal also ignores the poor record of voucher programs here in the United States. While he promises that “if we offer every parent the freedom to choose the best school and allow the funding to follow every child to their chosen school, Georgia will skyrocket to the top of every educational measurement,” nothing in the research data justifies that lofty claim. Most important, Johnson ignores the true nature of Georgia’s challenge, which is as much cultural and multigenerational as institutional. For far too long, education wasn’t considered important here — not by government officials, who feared the taxes required to build a first-rate system; and not by business, which in addition to fearing taxes saw ways to make profits with a lesser educated work force that also demanded lower wages. . . .
Minnesota school officials announced Tuesday that nearly half of the state’s schools fell short of state education standards. This clearly ridiculous finding is part of the federal No Child Left Behind law that requires states to test students in math, science and reading each year. Schools that don’t meet NCLB goals are publicly shamed and ultimately forced to reroute public money for poor children to private or public firms. The benchmark for a passing grade rises each year. The process, called Adequate Yearly Progress, culminates in 2014 when every student must pass the test or the school will face punishment. The result of this rising bar is that each year more schools fail. In 2005, 247 Minnesota schools did not meet AYP. In 2006, 483 came up short. Last year, 729 failed and this year 937 of the state’s 1,920 schools – nearly half – failed the tests. Every educator in Minnesota would welcome an assessment that fairly evaluates student growth, but results such as these show that NCLB test results are meaningless. . . . Yes, it's the return of Camelot, but instead of a land of justice, bravery, truth, and romantic adventure, it is disciplinary consequences, physical restraints, and the chain of command of a new Camelot, the one that Paul Vallas has brought to two "restructured" schools of the New Orleans Recovery School District. In his previous post as head of Philadelphia's schools, Vallas allowed Brien Gardiner, now alleged to be one of the leading thieves in the ongoing Philly charter school scandal, to acquire the first contracts for Camelot Schools LLC, a Texas based company that operates schools on what may be described as the junior penitentiary model. At Camelot Schools, parents must "enroll" their children through Intake, and first period everyone is signed up for Personal Searches. Seriously--check out this pdf overview of Camelot's "alternative" model reform schools. One paragraph of the 37 pages is devoted to curriculum. Want to guess what constitutes the rest? NCLB sanctions have made it possible now to turn the poorest schools over to private contractors to incarcerate those children who somehow have not chosen the street over the company lockdown schools. And these new test-til-you-puke chain gangs offer the perfect training for a future behind the steel doors of the adult for-profit prisons that represent one of the real growth industries that cannot be exported--yet. It will be worth watching what Vallas does next, when the LEAP scores come in on his corrupt corporate solution for the children we have thrown away.